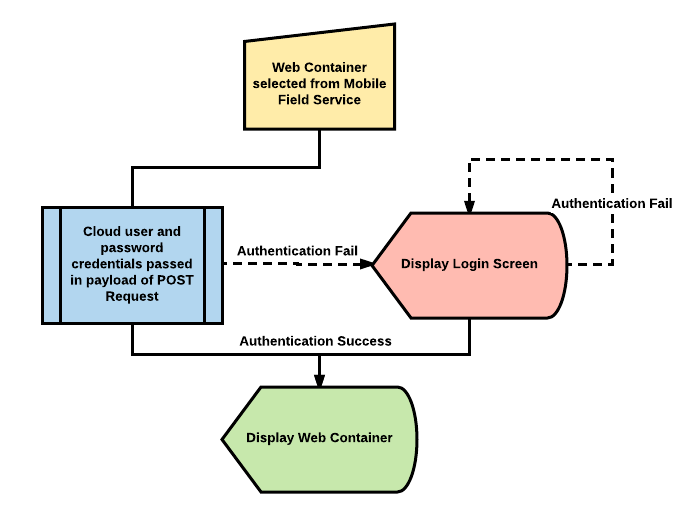 Web Containers are containers stored in the mobile application (iOS and Android) that can be configured to read and display data from an external source. Web containers are currently configured and managed in the FSM Service Cloud. Web containers are configured at the company level. A web container can be assigned to multiple object types. 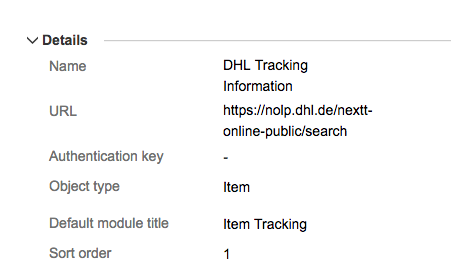 Name The name of the web container record in the service cloud. This name is only used for record-keeping purposes. URL The URL/endpoint of the web container. The POST request will be sent to this endpoint. Authentication Key If applicable, the authentication key to be passed to the endpoint. This authentication key is passed in the header of the POST request. Object Type The object type associated with the web container (example: item, business partner, etc). By selecting, the web container will be assigned to the object type. Default Module Title The name of the web container. This name will display in the web container contained in the mobile application. Sort Order The display order of the web container. The order in which the web container will display in relation to other object type options. Locale The location and language code. Value The translation to appear for the webcontainer from the menu.